Why did I commission Maximising Returns? The truth is that while working at NERC I was a member of the Sponsors Forum for the Teaching Company Scheme, now part of the knowledge transfer partnerships programme run by Innovate UK. 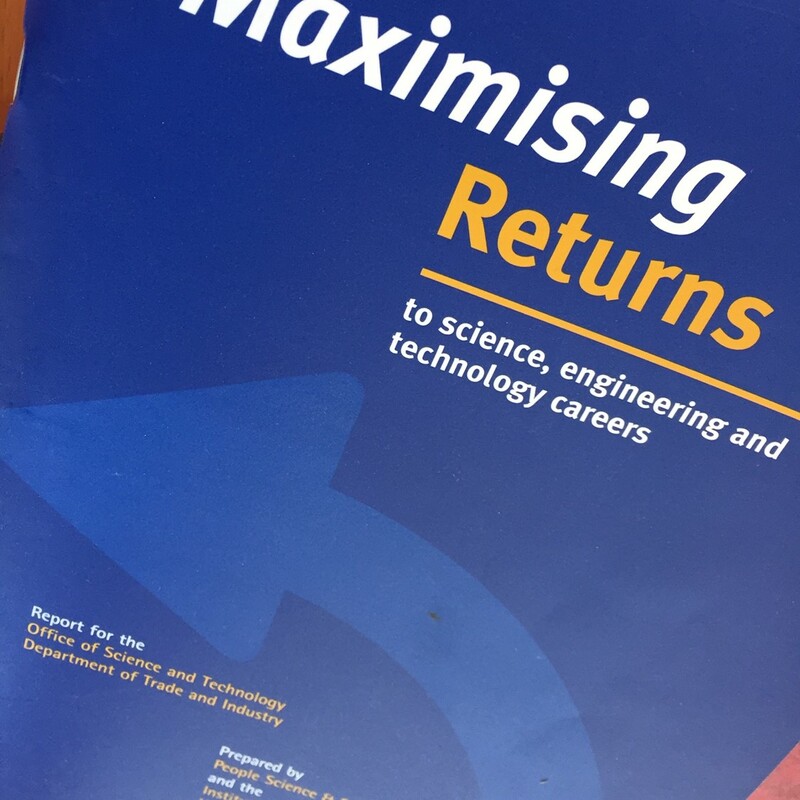 Sitting in my women in science chair on my secondment, pondering the key issues for women’s science careers, I could clearly see the challenges faced by returners. Joan Mason, rapporteur for the Rising Tide report introduced me to the career profile of the ‘M’ curve for women and how for science it was an ‘n’ curve and a lower case one at that. It seemed so obvious and the TCS programme seemed a perfect fit. My DTI colleagues running the TCS programme were less convinced and others questioned how many women took a career break in science and failed to return. Clearly a difficult community to access. But in 2000 there was very little data to be had. So I secured the budget, a steering group and appointed a contractor to undertake the work. The report was launched at the Daphne Jackson Trust 10th anniversary in 2002 and the preparation for that launch with Patricia Hewitt proved to be the catalyst for what became the ‘Greenfield Report’, SET Fair and ultimately the £500K RETURN campaign.